Have you tried checking the Vancouver real estate listings lately? A professor at the Sauder School of Business says that while the rising prices in the market are not favourable for buyers, there are myriad reasons that will keep attracting more sales activity. A UDI Report says the fear of missing out may be driving the increased sales but whatever your reason, there is no denying this city is irresistible. Well, if you are trying to buy a home in the city, you must have been referred to a home appraisal Vancouver expert. Property market investment is complicated but the appraisal must be the most misunderstood aspects in the entire process. Whatever you might have heard, a real estate appraiser in Vancouver is crucial if you are to get the most out of your investment. Inspection is not an appraisal: A home inspection is superficial but an appraisal goes deeper to check public ownership, comparable sales in the area, zoning, records, replacement costs and so much more. It gives you the full picture about the investment you are about to make. Appraisal is crucial: Residential or commercial appraisals in Vancouver are important to the buyer, seller and lender. It’s all about guaranteeing you don’t buy property at an over-quoted price. 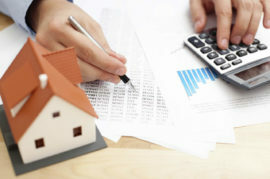 The lender is also able to determine the value of the property to avoid risking their business by selling you a mortgage. The seller gets to know the real value of their property. Professional residential and commercial property appraiser in Vancouver: You need to understand that your appraiser adheres to a code of ethics as outlined by the Canadian Uniform Standards of Professional Appraisal Practice. The process is confidential: The information collected is confidential including depreciation reports in Vancouver and property interest reports among other details. For instance, if you order an appraisal for property tax appeal, this can only be released to the property tax board with your consent. If you are buying a home in the area, make sure you call in a reputable appraiser to avoid future complications with your investment.